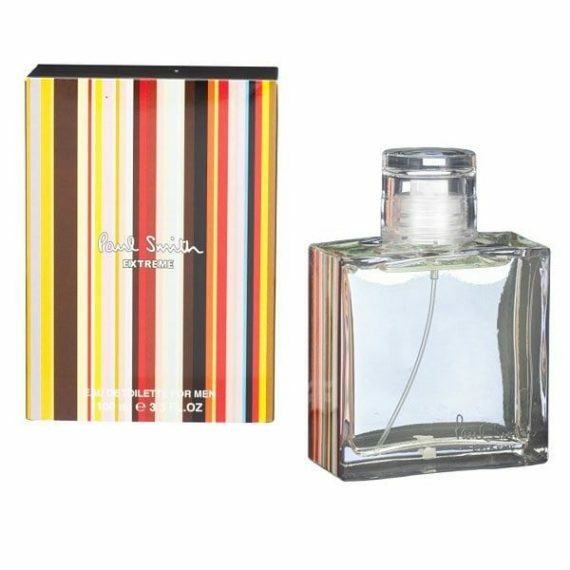 Extreme Men Eau de Toilette by Paul Smith is a woody aromatic masculine fragrance with top notes of Bergamot, Rosemary, Hesperidia, Nutmeg and Cardamom. The heart notes are Incense, Geranium and Rosewood with a base of Sandalwood, Tonka and Modern Musk notes. It is a deep, intense cologne perfect for everyday wear. The predominant note is Nutmeg and the fragrance lasts well throughout the day. 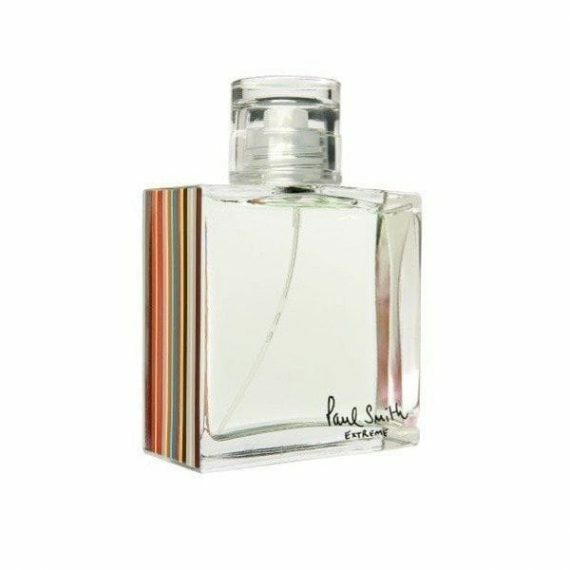 The scent was launched in 2002 in a clear glass flacon with straight multi-colored sides.